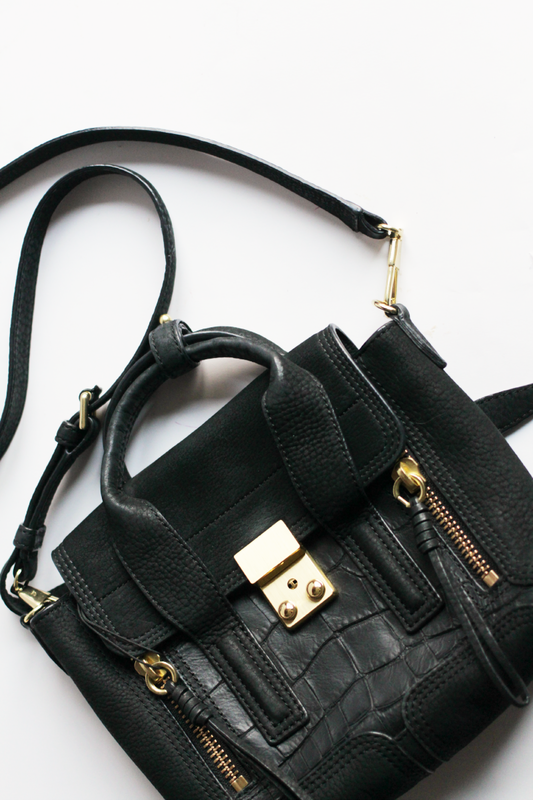 Guys, I have a new love in my life and its name is the Phillip Lim Pashli Bag. I’ve had my eyes on this style since it came out god knows how long ago (I tried to look it up and failed) and it’s always been at the back of my mind when mindlessly browsing. I was torn between the medium and the mini, but settled on the smaller one as they’re my thing at the moment. 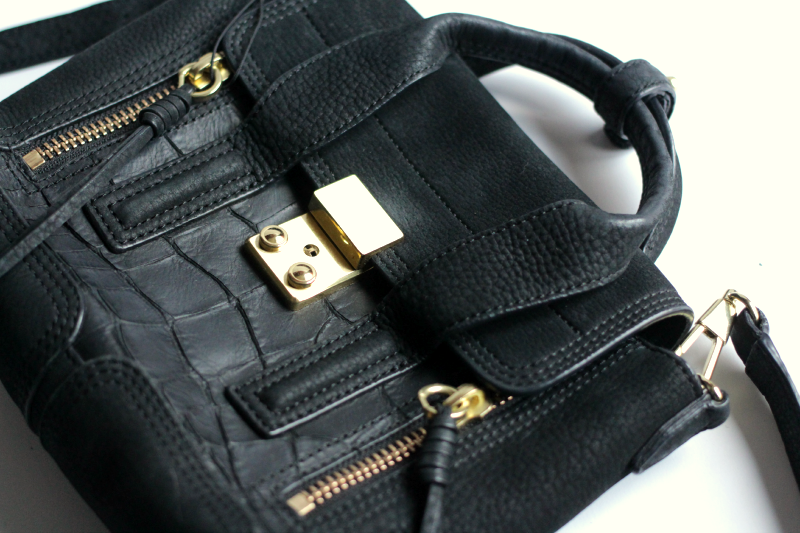 This particular one is the softest black suede with leather crocodile print and gold hardware. It’s the perfect size for my large purse, headphones, sunglasses, phone charger makeup, hand cream and keys with room to spare, making it ideal for daily use. I (well, my wonderful boyfriend *heart eyes emoji*) picked this up from Vestiaire Collective, as it was the style I wanted, which I couldn’t find in the shops anymore, and the seller had only used it once or twice. I’ve got quite a few things from Vestiaire recently, as I literally can’t fault their service and the items I’ve received. You know you’re getting a genuine item, that’s in really good condition (which is checked by the team before it’s sent to you) and it’ll be delivered by trackable courier. You can get some absolutely bargains on there too! I recently bagged a pair of Gucci loafers for £70 that hadn’t even been worn – amazing considering the RRP is over £400! Do you have your eye on any designer bags at the moment? Or any you’d love to add to your dream wishlist?